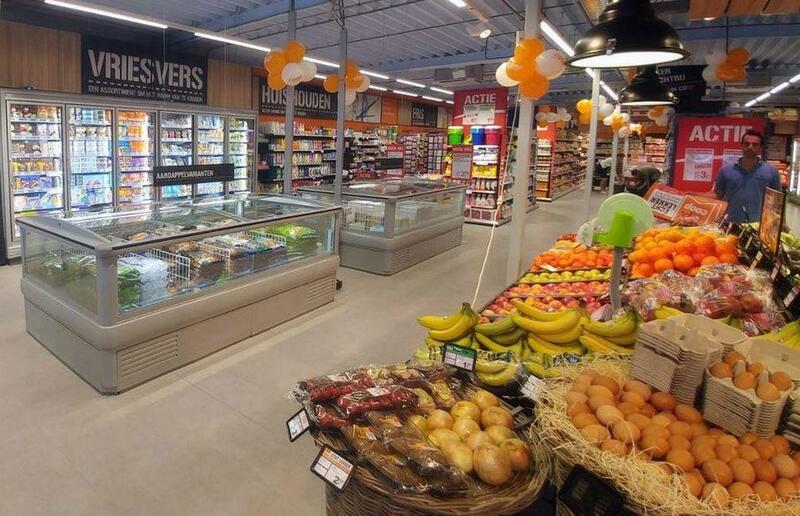 A grocery store in Nederhemert city in the Netherlands has been reopened as a ‘COOP Compact’ store after refurbishing. 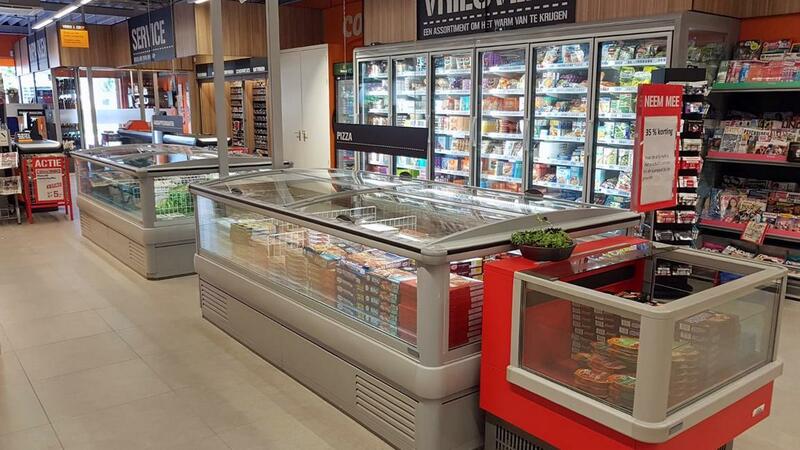 The renewed store has chosen FREOR refrigeration equipment as well as Hydroloop refrigeration system, which was installed by FREOR`s official partner in the region – ‘Koelservice van Tol’. 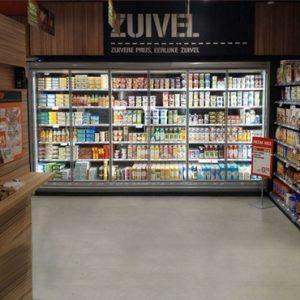 All the refrigerated display cases were chosen to operate on environmentally-friendly refrigerant propane (R290) which is more energy-efficient than HFCs. 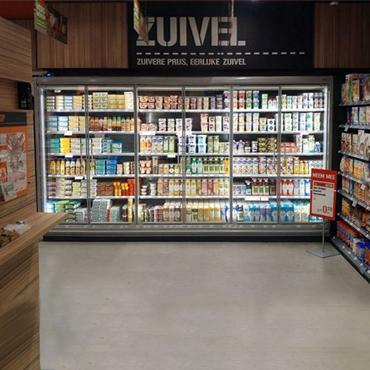 The display units were equipped with inverter compressors which allow additional energy savings. The inverter technology adjusts the rotation speed per demand and makes propane cooling even more energy-efficient. At daytime compressors emit more power to ensure stable set point temperature, at nighttime energy consumption is reduced to a minimum; therefore significant energy savings can be achieved. 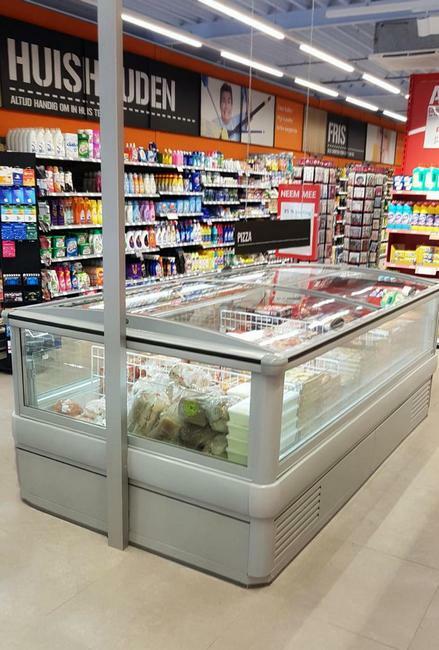 In ‘COOP Compact’ store all the display cases are connected to a FREOR Hydroloop system, – a glycol circulated closed loop, which allows the residual heat to be discharged outside if not needed, or to be used for the store and warehouse heating. 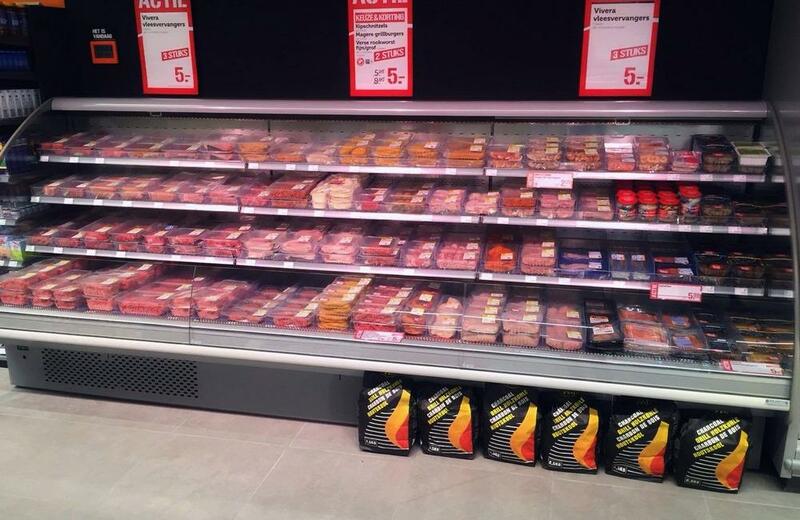 So the excess heat is under control according to store needs. Hydro-aggregates manufactured by FREOR were also installed for cold rooms, connected to the same glycol circuit. 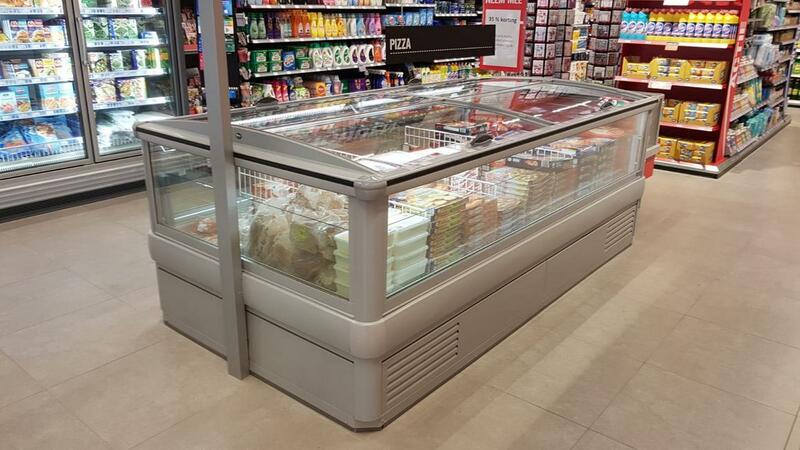 Horizontal island freezer LEDA R290, 2×2,5 meter – first freezer in its class working autonomously with propane as a refrigerant. The entire installation is connected to a control room, which means that the malfunctions are reported to our partner, and the adjustments can be controlled remotely. For automatic control, Carel control system is used. 25 % more energy-efficient than R404A remote installations. 97 % less chance of refrigerant leakage. 80 % less refrigerant is needed. High quality and durability of a product. 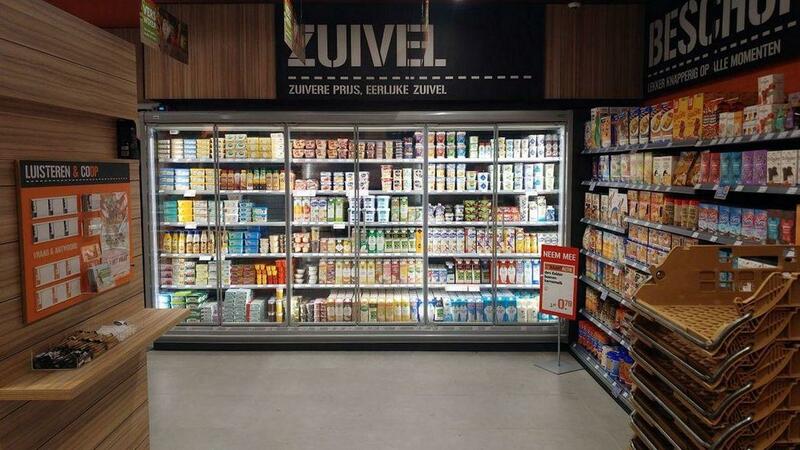 COOP chain store works in energy-saving mode. Store only uses 100 % ‘green’ electricity, energy-efficient furniture and batteries, LED lighting. 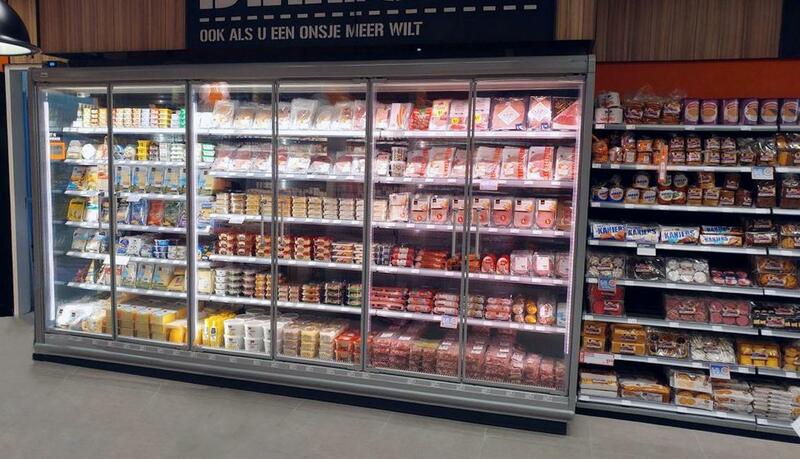 All frozen products are stored in enclosed freezers to optimize refrigeration performance, as it usually accounts for most of the energy consumption of the store.